Puzzle games are a dime a dozen on the App Store and most offer only slightly different iterations of the same ideas. Once in a while, though, you get some innovative puzzle games that introduce some intriguing ways of interaction, and Jason Roberts’ Gorogoa ($4.99) is definitely one of those special games. 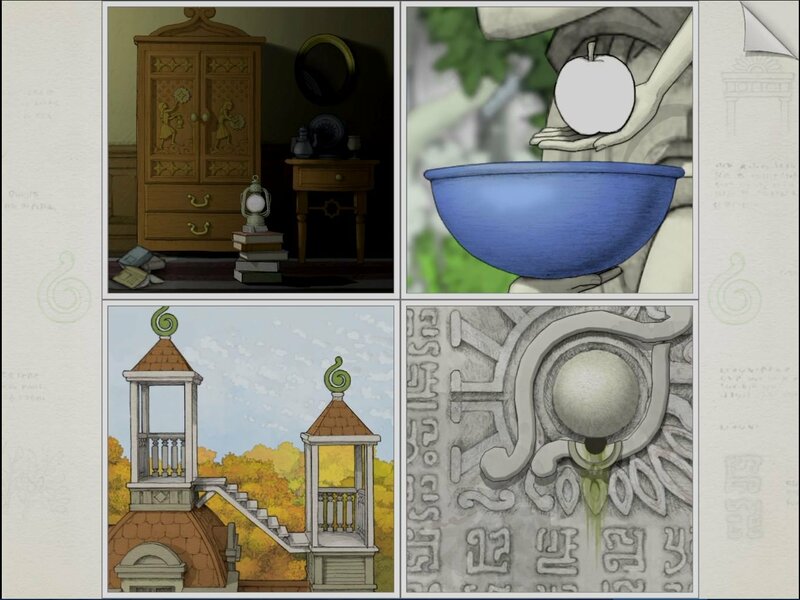 Gorogoa gives players the ability to manipulate four panels, but the ways those panels can be manipulated are very clever and offer some surprises that I really enjoyed. I knew Gorogoa gave players the ability to interact with the overlays of the various illustrations, but I didn’t expect it to do so in such inventive ways. Add to those smart interactions some truly gorgeous, hand-drawn art, and a mystical story, and you have a puzzle game that everyone who enjoys the genre should definitely grab. And if you have friends who like to debate whether video games are art, send them Gorogoa just to add more fuel to the fire. 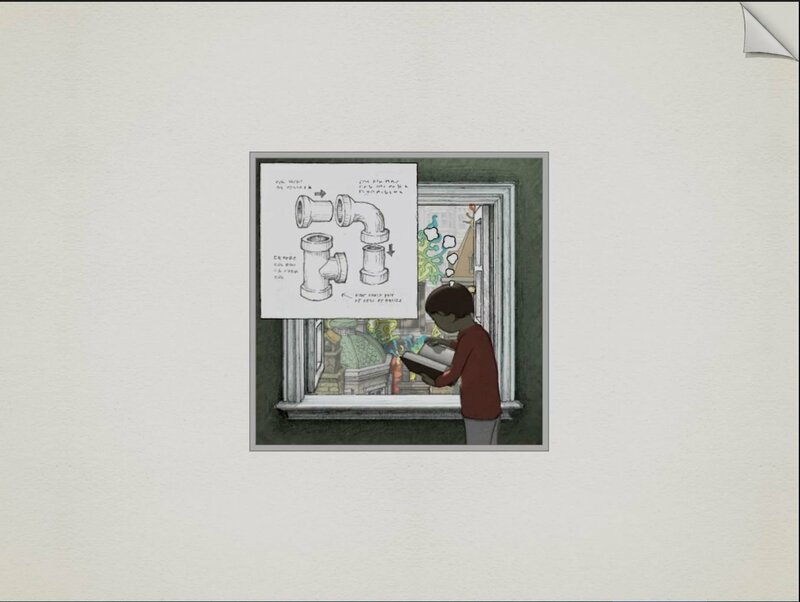 Gorogoa is the work of a single person, Jason Roberts, and tells an intriguing story of a young boy who seeks to gather five items associated with what looks like a South American deity that appeared outside his window. Gorogoa‘s story is tricky to explain because it is as vague as it is mystical. It’s definitely the kind of story you can interpret in many ways, and that’s part of the game’s magic, at least to me. Left to its own devices, my imagination was constantly going into all kinds of directions, interpreting and reinterpreting the game’s visuals. If you enjoy metaphors, Gorogoa will definitely please you. Gorogoa doesn’t really have a tutorial, but it doesn’t need one either. Once you start, you see how the game is broken into four panels in a grid that can be rearranged and zoomed in and out or shifted right and left. You can turn on a hint-like system that shows you which areas can be interacted with, but you can easily figure out what you can interact with even without that aid. The magic starts when you figure out how to remove a tile’s overlay and when you see the worlds hidden underneath other worlds. Shifting a tile’s overlay to an adjacent space to reveal what’s hidden underneath really never gets old in Gorogoa. The surface is never all that there is, and shifting overlays around is not just a means of solving the puzzle and helping the story progress but also a way to reveal the intricate mythology of the game, where worlds are laid upon other worlds and only by lifting each layer can you explore them and reach your goal of collecting those items. 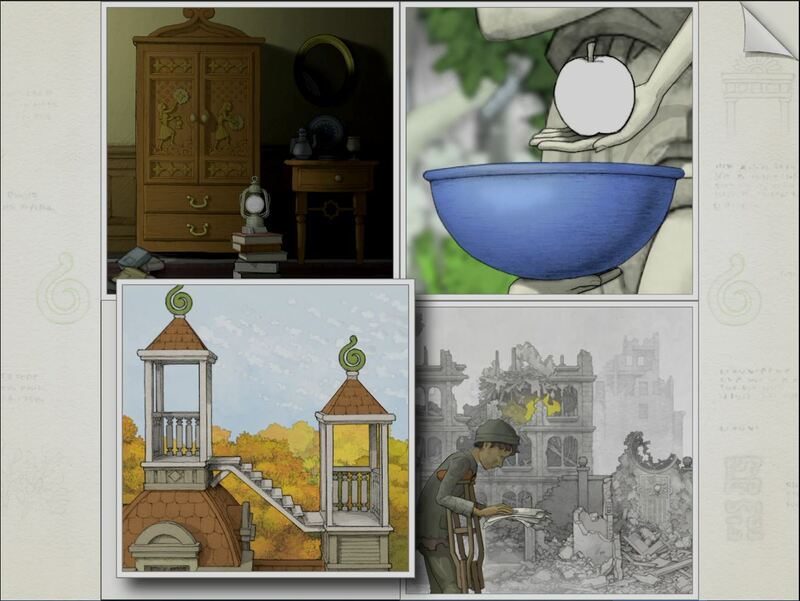 As I said early on, if you like metaphors, you’re going to love Gorogoa. How does the overlay mechanic work? Often, you’ll want to have the young boy move to a different location, and the way you’ll do so is by superimposing the door overlay of a different location over the boy’s current location. Once you do that, the boy walks out into the location of the original overlay, in that way moving the plot forward. If that was all you could do, though, Gorogoa would get boring soon, and Gorogoa is definitely not a boring game. Without spoiling much, there are moments where you use the overlay mechanic to light up a space, warm up a room, change the time on a clock, and so many other clever interactions. Gorogoa lets the intricacies of its mechanics gradually unfold in a way that kept me guessing and made the game intriguing. Gorogoa leads you through the story using different paintings and symbols that act as guides to how you should solve the various puzzles. These are part of the game’s environments and help maintain the immersion while also providing information and context to the player, without which the puzzles might have felt unmoored. Still, even with these guides, Gorogoa‘s puzzles sometimes took a bit too many tries to figure out, even though I knew precisely what I needed to do. The overlay and zoom mechanics can make for plenty of trial and error. Overall, though, the game was difficult enough to have me ponder but accessible enough to enjoy without racking my brain too hard. While Gorogoa‘s puzzle mechanics are very inventive and fun to discover, what really stands out is the game’s art. 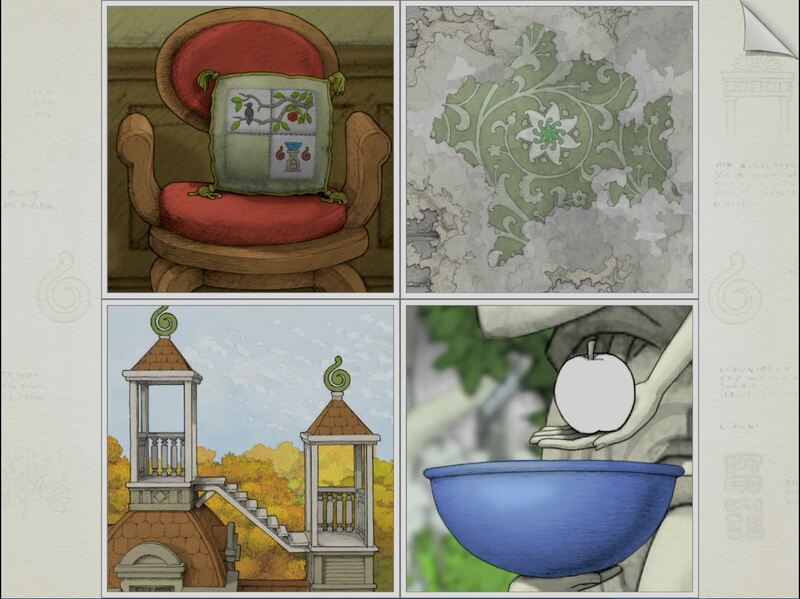 A single glance at a screenshot is all it takes to see how Gorogoa‘s art design is something special. Roberts created thousands of hand-drawn illustrations to tell his story, and they are truly gorgeous, especially on an iPad. Each illustration is meticulously drawn and colored, and there’s a great style cohesion that makes Gorogoa‘s world feel believable and lived-in, despite its magical elements. I could tell while playing the game that this was the vision of a single person rather than a puzzle-like construct made up of different ideas and viewpoints. Unfortunately, the sound side of the game isn’t as captivating as the visuals, and that’s a bit of a pity because most of the game lacks a musical score that would have helped elevate Gorogoa even further. As you’d expect from a game about dragging overlays around, you’ll enjoy playing Gorogoa on the touchscreen. The game feels made for the iPhone and iPad, but there are a few moments where dragging could have replaced touching an icon to move an illustration in different directions. Despite that small issue, Gorogoa feels at home on a touchscreen and is a pleasure to play. With its sense of artistic cohesion and its inventiveness, Gorogoa impressed me as few other puzzle games have, and I can’t see any player who enjoys puzzle games even a bit not enjoying it. It might not be the longest game in App Store history, but it also doesn’t overstay its welcome, which can be an issue with story-heavy puzzle games. Gorogoa really is a gem of a game that belongs on most people’s devices and one that will cast its magic on you as soon as you start playing.